Our home office is in Westerville, Ohio with several branches to serve you. Click on the Find a Branch button to find the DASCO branch nearest to you. DASCO Home Medical Equipment is committed to providing patients and referral sources with the best service, quality of care and equipment possible. DASCO carries all types of medical equipment and specializes in respiratory equipment like home oxygen, non-invasive ventilation, and CPAP equipment for sleep apnea. DASCO is committed to our Vision of Being A Place Where Human Beings Thrive … we do this with our associates, patients, physicians, and hospitals. 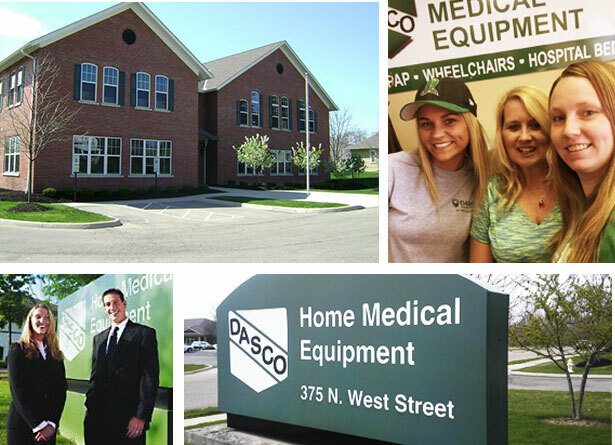 DASCO is a family-owned company, helping families in need of home medical equipment since 1987 with several branches throughout Ohio, West Virginia, Kentucky, and Indiana.